Mike Bridenstine is the new co-host of Comedians Talking Sports presents Comedians Talking Baseball! The podcast where we recap the week that was in Major League Baseball, nerd out about some stats, and just have a great time talking America's past time! 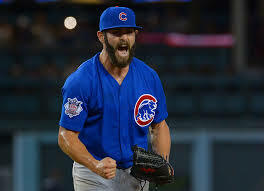 This week we focus on the masterpiece that was Jake Arrieta's second no-hitter!! !